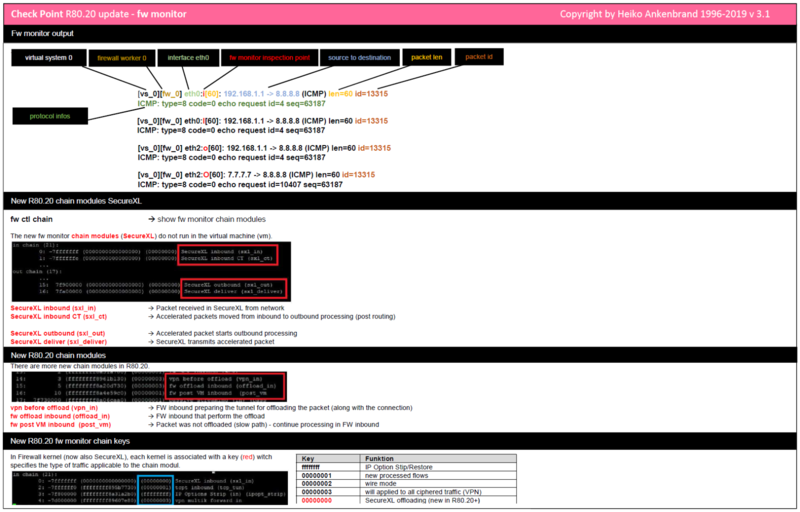 This overview gives you an view of the changes in R80.20 fw monitor. 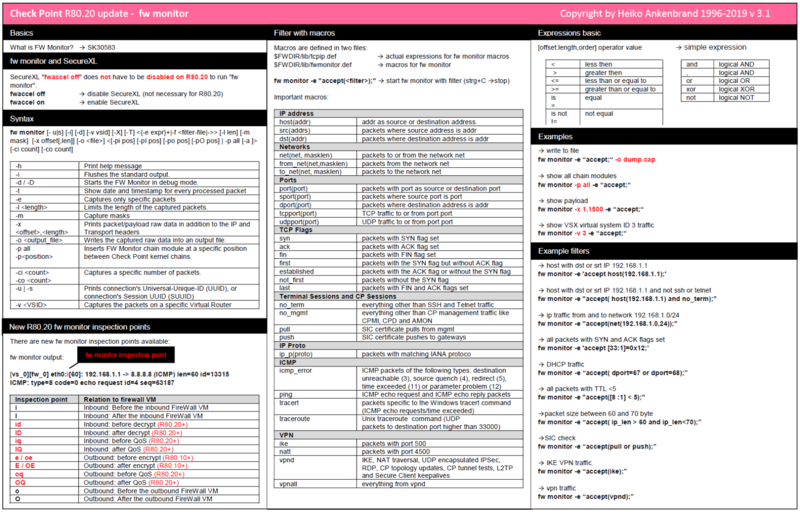 All R80.10 and R80.20 changes are contained in this command overview (cheat sheet). You could download the cheat sheet at the end of this article as a PDF file. Unfortunately not all information for R80.20 is included in SK30583 “What is FW Monitor?”. Therefore this small overview with the changes. I hope it helps you.